What is meant by “satisfaction” and what does it mean to be satisfied? What is the Reformed Teaching on Sin Satisfaction? What is the Catholic Doctrine on Penance and Satisfaction? What did the Early Church Fathers Teach on Penance and Sin Satisfaction? Satisfaction means, in short, to please God. It means to give God something that has enough value or worth in order for Him to consider a sin debt to be paid. Both Roman Catholics and Reformed Christians believe that because man has offended a infinitely perfect God, man is not able of his own power, to pay God back for the offense that his sin causes God. Further, both Roman Catholics and the Reformed teach that the efficacy of the Cross is the only way that man can be forgiven for his debt of sin towards God. However, Roman Catholics and Reformed Christians differ in what they believe the cross did and how the merits of the cross are applied to the believer. It will be covered more in depth below, but it is important to give a brief overview of the Roman Catholic concept of the cross and the atonement. Roman Catholic doctrine teaches that because human sins offend a perfect God, it is impossible for finite beings who were created out of dust and owe their very existence to an infinite Creator to pay back the debt of justice owed. However, Christ’s suffering, death, and resurrection has purchased for Christians the rewards of eternal life. The Church teaches that Christ’s sacrifice was so beautiful to the Father that the eternal debt that was due to The Father by every human sinner was more than paid for by the perfect and spotless sacrificial offering of Christ on the cross. Those who are baptized into Christ, and united with Him, have, at that time, all the temporal and eternal consequences eradicated. Each subsequent sin committed and forgiven through confession still has temporal consequences that need to be paid; either in this life or the next. However, the consequences are not eternal for those who die in friendship with God, but are rather, temporal. If the debt of sin is not paid in this life, then it is paid in the next. This temporal punishment is known as Purgatory. A Christian can in this life, through acts of penance, make satisfaction to God for the sins that he has committed and thus purify his soul and release himself from the punishment that would come after death. For The Reformed, Christ’s atonement on the cross was one of a strictly Penal Substitutionary nature. That is, the Father punishes Christ instead of Christians. Because the debt of sin was infinite, an infinite punishment needed to be wrought by an infinite man. The debt of all sin, both temporal and eternal was paid by Jesus’ perfect sacrifice. It is frequently stated that the wrath of the Father which would be justly directed towards sinners was placed upon Jesus, and the Father’s wrath was extinguished in Christ. Christians are those, therefore, who have had all their sins, past, present, and future, paid for by the Christ on the cross. Furthermore, Christians who are in Christ cannot even attempt to make restitution for any of their sins because God’s perfect justice cannot be satisfied by an imperfect act of charity. Murray argues, therefore, that Protestant and Catholic doctrine in terms of sin satisfaction are at odds with each other. Murray states that the Catholic has an obligation to to satisfy for sins that they’ve committed. For the Protestant, attempting to make satisfaction for one’s sins is to deny the efficacy and the work of Christ on the cross in toto. Murray’s work, published in 1955, is considered a seminal work on the Reformed doctrine of the atonement. But Reformed antipathy towards a Catholic understanding of satisfaction for sins has deep historical roots. In a mid 17th century sermon titled A Sermon Against the Roman Catholic Church, the Puritan Preacher Thomas Watson lambasts his view of how Catholics perceive satisfaction. “Fourthly, A fourth Error is: The Doctrine of Popish Satisfactions; they hold that we do, in our own persons, satisfy God’s justice by our Penance, Whipping, Fasting, Alms-deeds. Thus the Council of Trent, and the Popish Rhemes. But where is any thing of this in Scripture? alas, what is our confession of sin? that is no satisfaction for sin: If a Traitor confess his guilt, this is no satisfaction for, but rather an aggravation of his Treason. Alas, our Repentance, Fasting, Humiliation, the best of our actions are be-labored, and mixed with very much sin; our Humiliation is mixed with very much pride, our Repentance and Confession, with much Hypocrisy and Dissimulation. There is much of sin in the cream of our services, and sin cannot satisfy for sin. This is a sure rule (and I pray you mark it) that whatever offering we bring to God for acceptation, we must lay it upon the Altar of Jesus Christ, for God’s Justice accepts no satisfaction, but by and through the Lord Jesus.”. For Watson and the Puritans, any energies exerted by a Christian towards penance are invariably mixed with sin, and therefore, not efficacious towards pleasing God. Everything that humans do, even Christians, is so tainted with the stain of sin, that the only satisfaction that we can ever bring to God is the person of Jesus Christ himself. To round out the reformed witness on sin satisfaction, it will be beneficial to turn to Francis Turretin, a 17th century Scholastic Reformed thinker and highly influential theologian. He taught, as have all the Calvinists, that man is not able to make satisfaction to God for his post-baptismal sins. In his highly influential work Institutes of Elenctic Theology he concisely contrasted the differences between Roman Catholic doctrine and Calvinist doctrine of penance and sin satisfaction. XXV. It is one thing to make satisfaction to the Church by public penance and canonical punishments imposed by her for the repair of the scandal; another to make satisfaction by laborious works to God for sins committed, in order to obtain their remission. We grant that the former can and ought to be done according to the canons of ecclesiastical discipline, and we do not deny that this was formerly practiced. But we maintain that the latter can nor ought to be done; both because such a satisfaction is impossible, and because it is derogatory to the most perfect satisfaction of Christ and altogether incompatible with the gratuitous pardon of sins. XXVI. It is one thing to assert the necessity of penitence being testified even by external works by which satisfaction may be made to the punishments imposed by the church; another to wish such works to be a just compensation for offenses and properly so called satisfactions subordinated to Christ’s satisfaction, which properly redeem sins or at least temporal punishments. The former we grant; but the latter we deny against the Romanists. Turretin’s assessment of the issue closely tracked that of John Calvin’s. He admitted that the Christian could do penance to restore the broken relationship with the fellowship of believers. He said of such communal penance, “we do not deny that this was formerly practiced.” This suggests that while Turretin believed that public penance for the satisfaction of the community was practiced in the early church, the alternative, satisfaction made towards God, was not. But is this really the case? Did the early Church believe that Christians could make satisfaction to God for sins they committed? We believe that it is easy to show that they did and we will attempt to do so in this article. What is Catholic Doctrine on the issue of penance & satisfaction? Catholic doctrine teaches that the Christian should attempt satisfy God’s desire for restitution after our baptism by doing penance, through the power of Christ. St. Thomas Aquinas taught that we are both commanded and able to make satisfaction for our sins to God. Man becomes God’s debtor in two ways; first, by reason of favors received, secondly, by reason of sin committed: and just as thanksgiving or worship or the like regard the debt for favors received, so satisfaction regards the debt for sin committed. Now in giving honor to one’s parents or to the gods, as indeed the Philosopher (Aristotle) says (Ethic. viii, 14), it is impossible to repay them measure for measure, but it suffices that man repay as much as he can, for friendship does not demand measure for measure, but what is possible. Yet even this is equal somewhat, according to proportion, for as the debt due to God is, in comparison with God, so is what man can do, in comparison with himself, so that in another way the form of justice is preserved. It is the same as regards satisfaction. Consequently man cannot make satisfaction to God if “satis” [enough] denotes quantitative equality; but he can, if it denote proportionate equality, as explained above, and as this suffices for justice, so does it suffice for satisfaction. The Church teaches, as was clarified by Aquinas, and contrary to the Reformed, that while God’s Justice is in itself perfect, and a finite man cannot ever give an infinite God satisfaction in a way that is quantitatively equal to the Justice of God, he can give God what he can and therefore satisfy God’s justice in a proportional way. In fact, God explicitly teaches us in his Holy Word that he views gifts given to him not in a quantitative way, but in a proportional way. A very curious event happens in the Gospels. As Christ was teaching in The Temple, he used the pious actions of a poor widow in order to show that God does not desire quantitative offerings, but rather, qualitatively proportional. Christ did not say that her gift was worthless to The Father, who like some heavenly miser accepts only infinite offerings, but rather, that it had great value because it was given in faith and from what the widow could give. The Heavenly Father that Jesus describes in this scenario is not at all like the God of the Reformed Protestants. The believer can please God, and satisfy him in a proportional way, by giving of what he has, in faith. This is because a Christian having been adopted in baptism is a member of the family of God and united to Christ, the son. A man who has stolen from his father can be forgiven by him once he has paid him back for the goods stolen. If the thief is not able to pay back his father quantitatively (as is the case between us and God), then as Aquinas teaches above, it satisfies justice that the thief does what he is able in a proportional manner. Who would begrudge a Father who offered mercy to his son who paid back what he could? In a likewise manner, we must attempt to pay back to God for sins that we have committed after our adoption. Now that we have shown that the Catholic and the Reformed positions on making satisfaction for sins differ, we can investigate to see whether or not the the teachings of the early Church fathers more closely align with the Reformed position over and above the Catholic position. Let us start our case here by appealing to those specific Ancient Fathers of whom Calvin suggested were from an age before the Church was “flagitiously mangled and almost destroyed by the Roman Pontiff and his faction”. Let us appeal to Chrysostom, Basil, Cyprian, Ambrose, & Augustine. And after we have done so, let us see if Calvin’s Church is present in the teachings of those great men. Let us not then bring forward these things now, which were uttered because of some economy, but let us read all the laws, those in the New and those in the Old Testament, that are set down about almsgiving, and let us be very earnest about this matter. For this cleanses from sin. For give alms, and all things will be clean unto you. This is a greater thing than sacrifice. “For I will have mercy, and not sacrifice.” This opens the heavens. For your prayers and your alms have come up for a memorial before God. Let us then use every means to wipe off the filthiness. But first the font cleanses, afterwards other ways also, many and of all kinds. For God, being merciful, has even after this given to us various ways of reconciliation, of all which the first is that by alms-doing. By almsdeeds, it says, and deeds of faith sins are cleansed away. If, however, each man who has committed the former sins is made good, through penitence, he to whom is committed by the loving-kindness of God the power of loosing and binding will not be deserving of condemnation, if he become less severe, as he beholds the exceeding greatness of the penitence of the sinner, so as to lessen the period of punishment, for the history in the Scriptures informs us that all who exercise penitence with greater zeal quickly receive the loving-kindness of God. This quote by St. Basil is enlightening because instead of separating the idea of reconciliation to the Church and to God into two separate realities as the Reformed do, instead insisted that they are one in the same reality; to be reconciled to The Church is to be reconciled to God Himself. The preceding quote is from a letter he wrote delineating penances for Christians who committed major sins. For example, Christians who had committed murder were to be excluded from receiving communion for 20 years. A man who committed adultery would be excluded for 15 years. These penances were to be enforced and imposed by the Church. In no way can we think that St. Basil believed that the man was reconciled to the Church only, and not also to God. For of this reconciliation Basil said that penitence made the man “good” and that the priest or bishop who assigned the penance had the liberty to be less severe in the penance because those who exhibit penance with greater devotion “quickly receive the loving-kindness of God.” For Basil as well as the other Fathers, communion with the Church is communion with God. These ideas can in no way be reconciled with the Reformed notion that strictly speaking, the only satisfaction for sin to God was Christ’s propitiation on the cross. For as we will soon see, the Ancient Fathers of the Church have taught that by uniting our penance and almsgiving with Christ, we may satisfy the debts of our sins. For after I wrote to you the letter which I sent by Saturus the reader, and Optatus the sub-deacon, the combined temerity of certain of the lapsed, who refuse to repent and to make satisfaction to God, wrote to me, not asking that peace might be given to them, but claiming it as already given; because they say that Paulus has given peace to all, as you will read in their letter of which I have sent you a copy, as well as what I briefly replied to them in the meantime. We offer you the wholesome help of our mind and advice. And because we may not hate, and we please God more by rendering no return for wrong, we exhort you while you have the power, while there yet remains to you something of life, to make satisfaction to God, and to emerge from the abyss of darkling superstition into the bright light of true religion. Wherefore, brother, if you consider God’s majesty who ordains priests, if you will for once have respect to Christ, who by His decree and word, and by His presence, both rules prelates themselves, and rules the Church by prelates; if you will trust, in respect of the innocence of bishops, not human hatred, but the divine judgment; if you will begin even a late repentance for your temerity, and pride, and insolence; if you will most abundantly make satisfaction to God and His Christ whom I serve, and to whom with pure and unstained lips I ceaselessly offer sacrifices, not only in peace, but in persecution; we may have some ground for communion with you, even although there still remain among us respect and fear for the divine censure; so that first I should consult my Lord whether He would permit peace to be granted to you, and you to be received to the communion of His Church by His own showing and admonition. The above three quotes are excerpts from Cyprian of Carthage who was ordained Bishop of that city around 250 a.d. The astute reader will notice that Cyprian of Carthage closely ties sin with submission to the just authority of the Church. Obedience to the Church is obedience to Christ Himself. Furthermore, it is clear from Cyprian’s thoughts that breaking the bonds of communion with the just Church authorities was tantamount to what Catholics would refer to as “mortal sin”. Cyprian’s teaching on sin satisfaction directly contradicts that of Calvin and the reformed, who believed that penance related specifically to making satisfaction to the body of Christ, the Church, and not to God. Furthermore, Cyprian’s ecclesiology so closely ties Christ with The Church, that to make peace with the Church is to make peace with God. Repentance of sin and penance not only brings one back into communion with the Church, but with God, and thus satisfies the justice of God itself. The Lord also Himself, the teacher of our discipline, and the way of our example, frequently and watch-fully prayed, as we read in the Gospel: He went out into a mountain to pray, and continued all night in prayer to God. And assuredly what He prayed for, He prayed for on our behalf, since He was not a sinner, but bore the sins of others. But He so prayed for us, that in another place we read, And the Lord said to Peter, Behold, Satan has desired to sift you as wheat: but I have prayed for you, that your faith fail not. But if for us and for our sins He both laboured and watched and prayed, how much more ought we to be instant in prayers; and, first of all, to pray and to entreat the Lord Himself, and then through Him, to make satisfaction to God the Father! We have an advocate and an intercessor for our sins, Jesus Christ the Lord and our God, if only we repent of our sins past, and confess and acknowledge our sins, whereby we now offend the Lord, and for the time to come engage to walk in His ways, and to fear His commandments. In this passage full of deep theological meaning, St. Cyprian, entreats the Christian to model their behavior off of the behavior of Jesus. This passage is striking in not only does it propose that through our prayers we may make satisfaction for our sins to God, but that it is done “through Him (Christ)”. This theology perfectly tracks the theology at Trent that says, “These fruits have their efficacy from him, by him they are offered to the Father, and through him they are accepted by the Father.” In this beautiful quote we can see then that Trent was merely a reiteration of the faith of the Ancient Church, and not an innovation or accretion like Calvin and the other Reformed have suggested. So, then, it is fitting for us to believe both that sinners must repent and that forgiveness is to be given on repentance, yet still as hoping for forgiveness as granted upon faith, not as a debt, for it is one thing to earn, and another presumptuously to claim a right. Faith asks for forgiveness, as it were, by covenant, but presumption is more akin to demand than to request. Pay first that which you owe, that you may be in a position to ask for what you have hoped. Come with the disposition of an honest debtor, that you may not contract a fresh liability, but may pay that which is due of the existing debt with the possessions of your faith. He who owes a debt to God has more help towards payment than he who is indebted to man. Man requires money for money, and this is not always at the debtor’s command. God demands the affection of the heart, which is in our own power. No one who owes a debt to God is poor, except one who has made himself poor. And even if he have nothing to sell, yet has he wherewith to pay. Prayer, fasting, and tears are the resources of an honest debtor, and much more abundant than if one from the price of his estate offered money without faith. Wherefore also the Lord Jesus, wishing to make us more strong against the temptations of the devil, fasted when about to contend with him, that we might know that we can in no other way overcome the enticements of evil. Further, the devil himself hurled the first dart of his temptations from the quiver of pleasure, saying: If You be the Son of God, command that these stones become bread. After which the Lord said: Man does not live by bread alone, but by every word of God; and would not do it, although He could, in order to teach us by a salutary precept to attend rather to the pursuit of reading than to pleasure. And since they say that we ought not to fast, let them prove for what cause Christ fasted, unless it were that His fast might be an example to us. Lastly, in His later words He taught us that evil cannot be easily overcome except by our fasting, saying: This kind of devils is not cast out but by prayer and fasting. And what is the intention of the Scripture which teaches us that Peter fasted, and that the revelation concerning the baptism of Gentiles was made to him when fasting and praying, except to show that the Saints themselves advance when they fast. Finally, Moses received the Law when he was fasting; and so Peter when fasting was taught the grace of the New Testament. Daniel too by virtue of his fast stopped the mouths of the lions and saw the events of future times. And what safety can there be for us unless we wash away our sins by fasting, since Scripture says that fasting and alms do away sin? (Tobit 12:8-9) Who then are these new teachers who reject the merit of fasting? The theology of St. Ambrose of Milan flatly contradicts the doctrines of The Reformed. In the first quote, Ambrose encouraged the Christian to approach God in faith, hoping for forgiveness because of the promise of forgiveness that God has extended to Christians through the New Covenant. He exhorts the Christian to approach God honestly so that God may be paid what is owed. At no time does he suggest that we cannot, in faith, pay back God for sins that we’ve committed. He suggests that because of God’s Grace, the Christian has more help to pay back what he owes than the man who owes money to mere man. We do not approach God with money, but with prayers, fasting, and tears, which he accepts out of love and mercy. And at last, with St. Augustine, we turn to the final of the Ancient Fathers to whom Calvin claimed to be returning. Calvin’s penchant for Augustine is well known. He quotes Augustine more frequently than any other of the Early Church Fathers by leaps and bounds. He was known to say that he found him to be the most faithful of the Ancient Fathers and that all of Calvin’s theology could be made up from just the writings of the “Doctor of Grace”. Calvin stated, “[Augustine]whom we quote most frequently as being the best and most faithful witness of all antiquity”. It is curious, then, that Augustine does not come close to the Reformed conception of penance and sin satisfaction. Augustine says, “alms should be offered as propitiation to God for our past sins.” According to the Reformed, there is no propitation for past sins except for the cross itself, and to suggest that there is is a blasphemy. Augustine goes on to reference Tobit’s suggestion that almsgiving will heal us of sin. One can easily see that Augustine’s conception of sin satisfaction, propitiation for sin, and even his conception of Christ’s work on the cross itself is completely at odds with Calvin and the other Reformers. 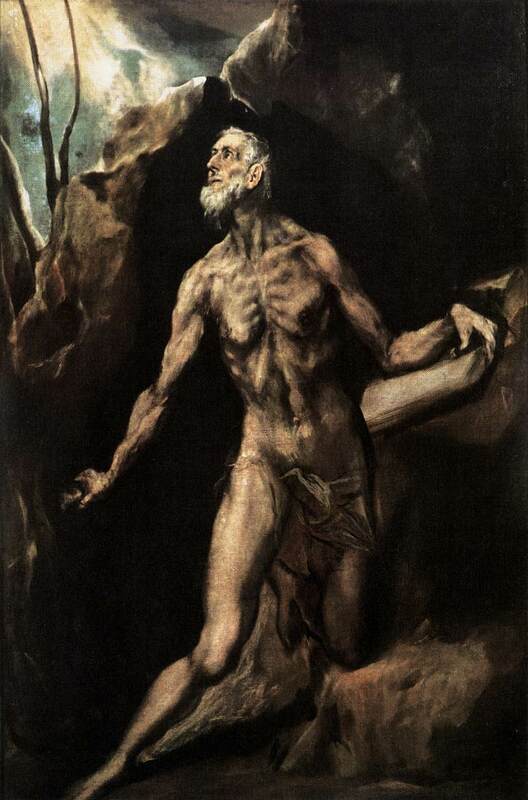 It beggars belief then, that Calvin assumed he was returning to the Church of the Ancient and venerable Father of St. Augustine. Now the daily prayer of the believer makes satisfaction for those daily sins of a momentary and trivial kind which are necessary incidents of this life. For he can say, Our Father which art in heaven, seeing that to such a Father he is now born again of water and of the Spirit. And this prayer certainly takes away the very small sins of daily life. It takes away also those which at one time made the life of the believer very wicked, but which, now that he is changed for the better by repentance, he has given up, provided that as truly as he says, Forgive us our debts (for there is no want of debts to be forgiven), so truly does he say, as we forgive our debtors; that is, provided he does what he says he does: for to forgive a man who asks for pardon, is really to give alms. And on this principle of interpretation, our Lord’s saying, Give alms of such things as you have, and, behold, all things are clean unto you, applies to every useful act that a man does in mercy. Not only, then, the man who gives food to the hungry, drink to the thirsty, clothing to the naked, hospitality to the stranger, shelter to the fugitive, who visits the sick and the imprisoned, ransoms the captive, assists the weak, leads the blind, comforts the sorrowful, heals the sick, puts the wanderer on the right path, gives advice to the perplexed, and supplies the wants of the needy,— not this man only, but the man who pardons the sinner also gives alms; and the man who corrects with blows, or restrains by any kind of discipline one over whom he has power, and who at the same time forgives from the heart the sin by which he was injured, or prays that it may be forgiven, is also a giver of alms, not only in that he forgives, or prays for forgiveness for the sin, but also in that he rebukes and corrects the sinner: for in this, too, he shows mercy. Now much good is bestowed upon unwilling recipients, when their advantage and not their pleasure is consulted; and they themselves frequently prove to be their own enemies, while their true friends are those whom they take for their enemies, and to whom in their blindness they return evil for good. (A Christian, indeed, is not permitted to return evil even for evil. ) And thus there are many kinds of alms, by giving of which we assist to procure the pardon of our sins. This extended passage from St Augustine, shines light on the the intricacies of the Catholic teaching on sin satisfaction. First of all, St. Augustine teaches that through mental prayer, the Christian who has been united in Baptism with Christ, can atone for small sins that he has committed. Furthermore, there are many types of “alms”. Augustine suggests that all corporal works of mercy are all a type of almsgiving and all of them “assist to procure the pardon of our sins”. This is contrary to the Reformed Faith which teaches that in no way can our good works done in faith assist in the pardoning of our sins or make satisfaction for the sins that we have committed, large or small. Since we have shown beyond a shadow of a doubt that the Ancient Fathers of Chrysostom, Basil, Cyprian, Ambrose, and Augustine held that a man, in faith, and united to Christ, can make satisfaction to God for past sins through penance and almsgiving, and cleanse himself through self denial and sacrifice, it might do well to simply end here. For having so clearly and easily proven a case, it might appear haughty to continue to bring forth Ancient witnesses on our behalf. But we worry that there might be some readers who protest that the doctrine of sin satisfaction thus presented by the five venerable fathers above might be at odds with the larger witness of the ancient Church itself. We will then, therefore, provide a brief overview of the thoughts of five other fathers. The quotes presented below were selected for the clarity and explicit discussion of the Christian making sin satisfaction. They are by no means exhaustive, insofar as every ancient father of the Church recognized the Christian’s ability to please The Father and satisfy for past sins committed. These quotations, however, should leave no doubt in the mind of the reader that the Church of Calvin was nowhere present in the Ancient Church. Such is the bodyguard which accompanies Pammachius wherever he walks; in the persons of such he ministers to Christ Himself; and their squalor serves to whiten his soul. Thus he speeds on his way to heaven, beneficent as a giver of games to the poor, and kind as a provider of shows for the needy. Other husbands scatter on the graves of their wives violets, roses, lilies, and purple flowers; and assuage the grief of their hearts by fulfilling this tender duty. Our dear Pammachius also waters the holy ashes and the revered bones of Paulina, but it is with the balm of almsgiving. These are the confections and the perfumes with which he cherishes the dead embers of his wife knowing that it is written: Water will quench a flaming fire; and alms makes an atonement for sins. (Sirach 3:30) What great power compassion has and what high rewards it is destined to win, the blessed Cyprian sets forth in an extensive work. It is proved also by the counsel of Daniel who desired the most impious of kings— had he been willing to hear him— to be saved by showing mercy to the poor. St. Jerome, Doctor of the Catholic Church says that showing mercy to the poor saves us and that almsgiving is a “balm” that heals us. Alms atones for our sins. Thus he who, through repentance for sins, had begun to make satisfaction to the Lord, will, through another repentance of his repentance, make satisfaction to the devil, and will be the more hateful to God in proportion as he will be the more acceptable to His rival. In this passage, Tertullian is speaking of the man who begins to pay down the debt for his sins, but then returns to that sin. If he returns to sins of which he has previously committed, he doesn’t satisfy God, but rather, Satan. That man can make satisfaction for his post-baptismal sins is assumed by Tertullian in this passage. But, on the other hand, those who forsake their transgressions, and yet mourn them not, are to be admonished not to suppose the sins to be already remitted which, though they multiply them not by action, they still cleanse away by no bewailings. For neither has a writer, when he has ceased from writing, obliterated what he had written by reason of his having added no more: neither has one who offers insults made satisfaction by merely holding his peace, it being certainly necessary for him to impugn his former words of pride by words of subsequent humility: nor is a debtor absolved by not increasing his debt, unless he also pays what he has incurred. Thus also, when we offend against God, we by no means make satisfaction by ceasing from iniquity, unless we also follow up the pleasures which we have loved by lamentations set against them. Pope St. Gregory the Great, beloved in both the East and the West, here explicitly states that we should not assume that sins that we’ve committed have been forgiven just because we have ceased from them. We should, rather, be “cleansed away” by our regret over them. In a certain sense, the Reformed would agree that repentance requires not only ceasing from sin, but also a Grace prompted detestation of those sins. Where St. Gregory The Great departs ways from the Church of Calvin is in his proposition that we make satisfaction to God by “lamentations”. Those who already distribute compassionately what they possess are to be admonished also that they study to keep careful guard, lest, when they redeem by alms the sins they have committed, they commit others which will still require redemption; lest they suppose the righteousness of God to be saleable, thinking that if they take care to give money for their sins, they can sin with impunity. For, The soul is more than meat, and the body than raiment. He, therefore, who bestows meat or raiment on the poor, and yet is polluted by iniquity of soul or body, has offered the lesser thing to righteousness, and the greater thing to sin; for he has given his possessions to God, and himself to the devil. Pope St. Gregory The Great echoes the constant teaching of the Church when he exhorts the Christian to not continue to commit the same sins that they have previously redeemed themselves from though penance. He specifically says that Christians are “redeemed” by alms. This is of course, contrary to the teaching of The Reformed Faith which states that not only is such satisfaction impossible, but offensive to the “free gift” of forgiveness offered by God through Christ. For in this respect also the malice of those is brought to light, who think that they have utterly overthrown the religion of God if they have corrupted men, when it is permitted them to make satisfaction also to God; and there is no worshipper of God so evil who does not, when the opportunity is given him, return to appease God, and that, too, with greater devotedness. For the consciousness of sin and the fear of punishment make a man more religious, and the faith is always much stronger which is replaced through repentance. Lactantius, 3rd century Christian Apologist, proposes that there are evil men who believe that have somehow “overthrown the religion of God” if they cause men to sin and yet Christians are able to make satisfaction to God Himself. Wherefore in order to satisfy as briefly and shortly as possible, your desire and question, the full and perfect description of penitence is, never again to yield to those sins for which we do penance, or for which our conscience is pricked. But the proof of satisfaction and pardon is for us to have expelled the love of them from our hearts. For each one may be sure that he is not yet free from his former sins as long as any image of those sins which he has committed or of others like them dances before his eyes, and I will not say a delight in— but the recollection of— them haunts his inmost soul while he is devoting himself to satisfaction for them and to tears. And so one who is on the watch to make satisfaction may then feel sure that he is free from his sins and that he has obtained pardon for past faults, when he never feels that his heart is stirred by the allurements and imaginations of these same sins. Wherefore the truest test of penitence and witness of pardon is found in our own conscience, which even before the day of judgment and of knowledge, while we are still in the flesh, discloses our acquittal from guilt, and reveals the end of satisfaction and the grace of forgiveness. And that what has been said may be more significantly expressed, then only should we believe that the stains of past sins are forgiven us, when the desires for present delights as well as the passions have been expelled from our heart. St. John Cassian, a disciple of St. John Chrysostom, and thus taught by one who Calvin assumes is part of a Church uncorrupted by Rome, teaches what the proof of satisfaction for sin is. The ultimate proof is that the Christian is no longer haunted by the sins, no longer thinks of them, when he is “devoting himself to satisfaction for them and to tears” and when he is not stirred to commit those sins again. When the Christian is at this point, he should feel confident that he has made satisfaction to God. St. John Cassian of course, like all The Fathers discussed thus far assumes that the Christian is able to make satisfaction for sin. It follows, therefore, that if and when the Reformed Christian claims that the beliefs of Calvinism are are a return to the beliefs of the Ancient Church of “Chrysostom and Basil, Cyprian, Ambrose, and Augustine”, we can reject such a notion. If a type of Calvinism existed in the early Church, it was not a type of Calvinism that accepted the traditionally reformed notion of “sin satisfaction”. And if the Calvinist does not share with the Ancient Fathers an understanding of how The Christian is supposed to make peace with God and satisfy his demands for justice, then how can the Calvinist say that he is in any way carrying the torch of those great men?